With today’s tease of a Crash Team Racing Remake (or whatever catchy name Activision decides to spin up for it) reveal set for The Game Awards, it got us thinking about previous teases and releases, as well as the evidence right in front of us. If everything pans out, then Crash Team Racing Remake (title pending) will probably be launching on June 21, 2019. 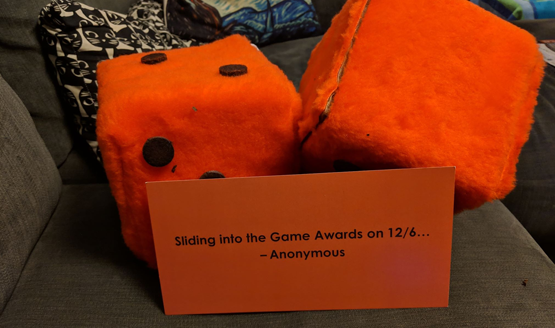 When I got my own set of fuzzy orange dice, I noticed that one of them had missing dots. “Probably just a poor glue job,” I thought to myself, halfheartedly looking through the box for them before deciding to snap a quick picture, post it on Twitter, and get back to work. It wasn’t until I started noticing other outlets posting their own pictures of the dice that the missing dots caught my eye (Fun fact: These dots are called “pips.”). In every picture I have found of them, the die with the missing dots seems to always just have the “6” side full, with everything else blank. The other die has the full pips on every side. This means that there are six pips on one die, and 21 dots on the other. 6/21. June 21. Okay, so that could just be a massive coincidence, right? Actually, it might not be. The curious case of the missing pips! What does it mean? The Crash Bandicoot N. Sane Trilogy released for PS4 back on June 30, 2017, which was a Friday. One year later, the PC, Switch, and Xbox One release came on June 29, 2018, also a Friday. 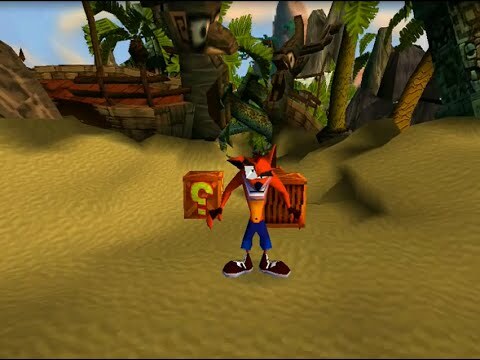 June 21, 2019 is also a Friday, and would fall closely in line with those previous Crash Bandicoot release dates, which makes us think that the Crash Team Racing Remake release date will land on June 21, 2019. From the number of different outlets that have received these dice (including PC and Nintendo-exclusive sites), it looks like multiple platforms could be announced with a release on the same day. It’s also entirely possible there was just a massive materials shortage and they couldn’t produce the requisite number of pips needed, but somehow I strongly believe that’s not the case. At any rate, we’ll know more within just a couple of days, as The Game Awards live stream is set for Thursday, December 6 2018. What do you think of this theory? Do the number of pips on the dice directly relate to the release date for whatever they are teasing, or are we reading into a small detail of these marketing materials way too much? Let us know your thoughts on the Crash Team Racing Remake release date and announcement in the comments below.